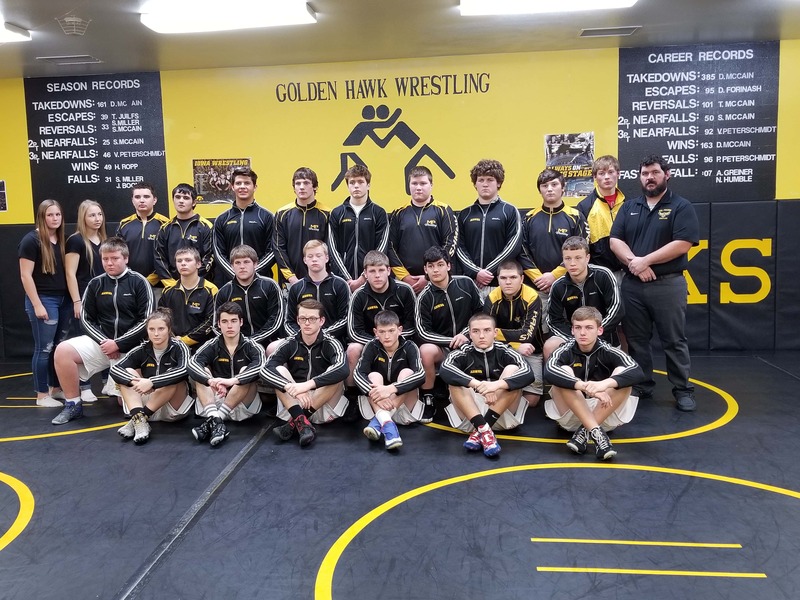 The Mid-Prairie Golden Hawk wrestling team finished the 2018-19 season with an overall dual record of 9-17. The Golden Hawks finished 11th of 14 teams at the River Valley Conference with 83 total points. Mid-Prairie had one conference champion with Isaac Boucher taking the crown at 195lbs. In the postseason, Mid-Prairie saw two wrestlers advance through the sectional tournament with Isaac Boucher earning the sectional championship at 195lbs while Colton Allen advanced as sectional runner up at 182lbs. At the district tournament, Boucher earned a bid to state with a second place finish, and took sixth at the state meet in Des Moines. The Hawks were led individually by Boucher with a 41-10 overall record. He and freshman Cael Garvey led the team with 22 pins on the year. Cory Allen was the team leader with 80 takedowns. The Hawks ended with a 264-211 overall match record for the team.